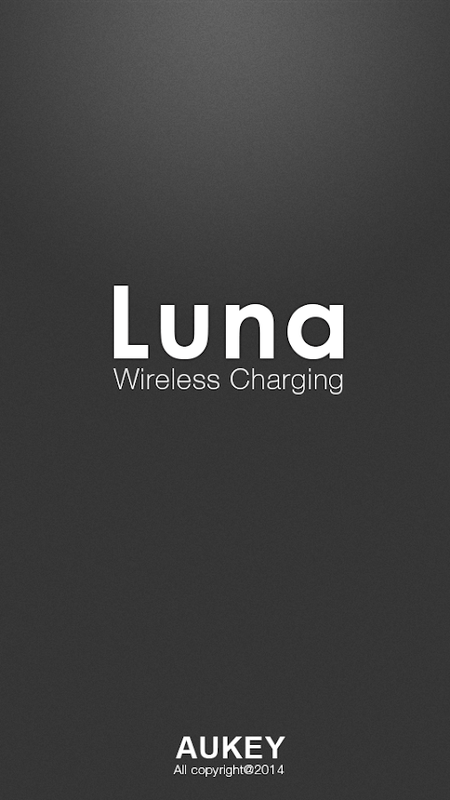 Luna is an app specially designed for AukeyLuna LC-01 wireless charger. It provides multiple shortcutfunctions for your phone when charging. 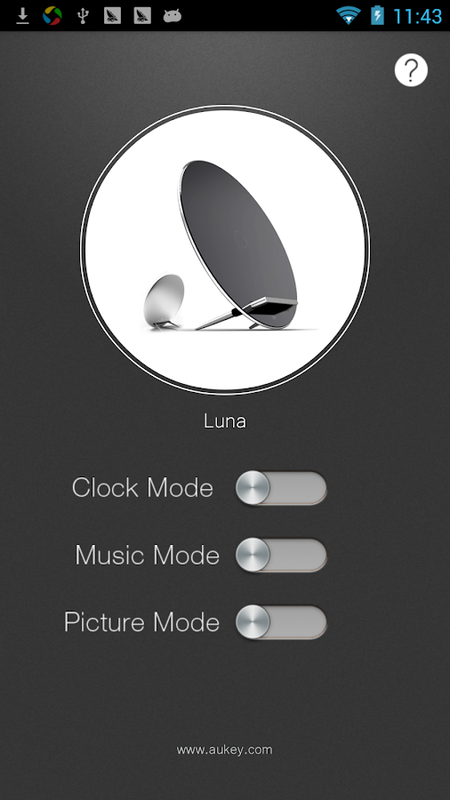 With Luna, you can easilyturn your charging smartphone to a clock, music player, photoframe, etc.. Enjoy the charging time with Luna! The Aukey Smart Wi-Fi Outlet with 2 USB ports works with the freeapp to give you wireless control of your appliances andelectronics; It can be used for fans, air-condition, cellphone chargers, lights, coffee mill etc. You can control all ofthem through 2G,3G or Wi-Fi at anytime and anywhere.Turn appliancesand electronics on or off from anywhere. Never worry if you leftthe iron, coffeemaker or hair straightener on. Turn on thenightlight for your little ones! Easy to install and simple to use.Set timer for turning on or off the devices automatically. Keepyour devices safe and a longer life, never worry about overcharged. Works with any smartphone or tablet running Android4.0 or above or iOS system. In addition, you can charge two USBdevices with USB ports on the outlet at the same time. With thisAukey Smart Wi-Fi Outlet with 2 USB ports, enjoy your smart life! Are you struggling to instantly locatetheright App from 100+ of installed App? Are you scrolling through4 –6 screens full of App names and icon, but can’t find the Appyouare looking for?AukeyTouch lets you easily manage your favorite apps bycreating4 conveniently accessible short cuts at the top of yourscreen.Each short cut can access up to 2 App / functions. That is 8shortcuts at the top of your screen for your favorite games / apps/functions, and access cameras, QR code scan and lockscreenfunctions. You can even group and access your favorite Applistwith one-click access. The Wireless Drive for Samsung Wireless app gives you easy accessto all the photos, videos, music, and documents stored on theSamsung Wireless device. You connect to the Samsung Wireless deviceby simply turning on your device and choosing the “SamsungWireless” network from your device’s Wi-Fi settings. The app willinitially launch showing all the Videos that are stored on yourdevice. Choose from Videos, Photos, or Music or navigate your medialibrary on the Samsung Wireless or your mobile device with atraditional file/folder view.The Samsung Wireless drives createtheir own WI-FI network, so your mobile device can connect directlyand stream media without an Internet connection. Videos stream andplay using the default media player built into the app. With theoption to open files with other apps installed on your mobiledevice, you can play/view content that isn’t supported by thedefault media player. The Wireless Drive app enables you to uploadphotos, videos and other files from your mobile device to yourSamsung Wireless device in full resolution and quality or foroffloading files to free up space on your mobile device.Access yourmedia and the Internet at the same time. The Samsung Wirelessdevice can connect to a nearby Wi-Fi network, such as a coffee shophotspot or your home router and pass through the Internetconnection to your mobile device.This app requires a SamsungWireless mobile media streaming device.The application can organizeup to 750 videos or up to 100,000 photos or up to 75,000 songs orlesser numbers of each type in combination. Black and white studios brings you anexcitingprank application which will charge your android cellphone'sbattery without any electric charger. This app works as asolarpanel which store energy from sunlight and then charge yourphonebattery through that energy.Solar battery charger allows you to charge your android cellphonewithout electricity, you can now charge your phone ortabletbattery with solar energy.If you are in a middle of somewhere and you wants to chargeyourphone or tablet and you don't have any electricity source thenthisapp will help you to charge your phone with sunlight.Solar battery charger is a prank application which will chargeyourphone's battery. Through this fake application you can prankyourfriends.Solar energy is a very handy source to produceelectricity.Electricity is being produced with sun light. If youreally want toproduce electricity through solar light you have toget some solarpanels or other solar devices. But charging yourphone with solarlight directly is not possible.App is specially developed for those who want to play prankwithothers. Any age persons can easily use this application.SolarBattery charger really looks like a real wireless chargingdevice.It also shows you your current battery status.If you like this application then don't forget to ratethisapplication with 5*, we will be very great-full for yourfeedback.Features:Solar battery charger.Looks like real charging device.Nice graphics.Kids can also use this app.Works without internet connection.Note:Solar battery charger is a Prank application justforentertainment.So just download this app for fun. Grupo Santillana de Ediciones, S.L.